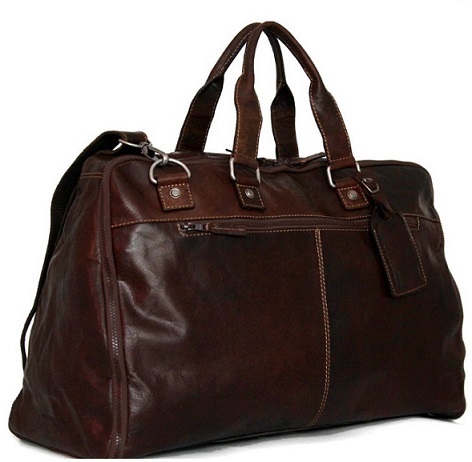 Handcrafted in gorgeous buffalo leather this duffle bag is also garment bag, Jack Georges created the ideal travel companion. It features two large interior shoe pockets, zippered pouches for toiletries, leather loops for hangers and padded wing gussets for added protection. So you hang your suit in the lining, slide your shoes in and then start packing your workout clothes or other standard duffel essentials. This bag is as stylish as it is functional. Best of all, it meets carry-on requirements, so your days of waiting at baggage claim are over.